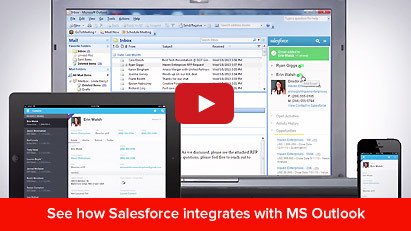 Salesforce for Outlook automatically syncs contacts, events, and tasks between Microsoft Outlook and Salesforce.com, eliminating duplicate data entry. No one needs to change the way they work, so everyone stays productive. Best of all it’s free Add-on and fully administered in the cloud. Automatically capture every customer email interaction within Salesforce and associate it with the right contact, opportunity or account. Complete the form and one of our friendly staff will contact you to demonstrate how we can help you with your business.